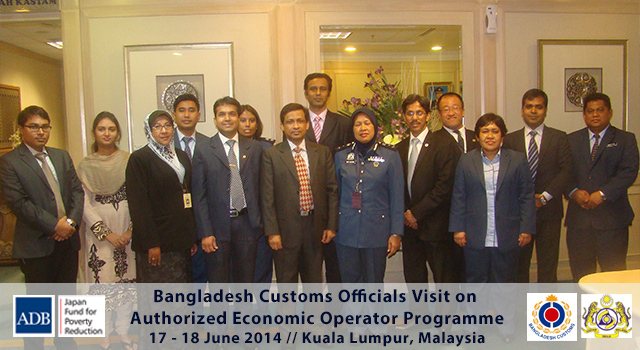 Six senior officials from Bangladesh Customs visited the Royal Malaysian Customs on 17-18 June 2014 in Putrajaya, Kuala Lumpur and Johor Baru, Johor, to share their experience of customs modernization reform and learn in detail how Malaysia developed and operates its Authorized Economic Operator (AEO) Programme. 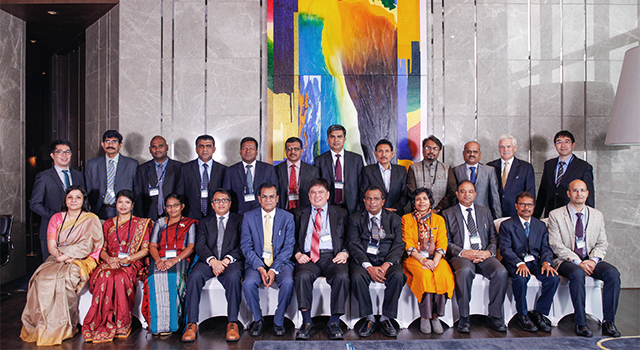 The visit is one component of the Government of Bangladesh’s ongoing initiative to reform and modernize its Customs administration by adopting innovative technology, and implementing reform programs in line with international best practices. Their efforts are supported by the Asian Development Bank-financed SASEC Trade Facilitation Program, and a national technical assistance project financed by the Japan Fund for Poverty Reduction. 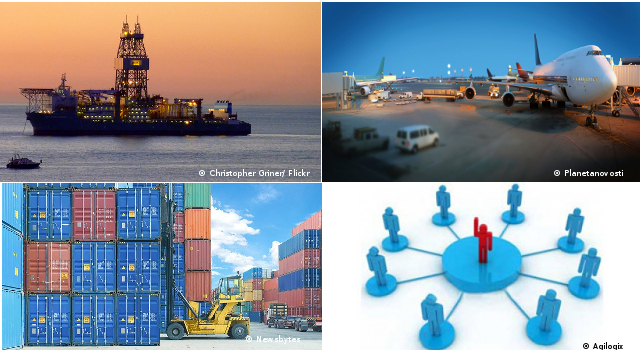 provide detailed information to Bangladesh Customs officials on the AEO unit’s roles, functions, Customs’ responsibility, coordination between AEO unit and Customs, that will assist in Bangladesh’s design of a Standard Operating Procedure to implement AEO. The visit opened with a courtesy call to Dato' Sri Khazali bin Haji Ahmad, Director General of the Royal Malaysian Customs in Putrajaya, followed by presentations on modernization programs in customs offices of both countries. 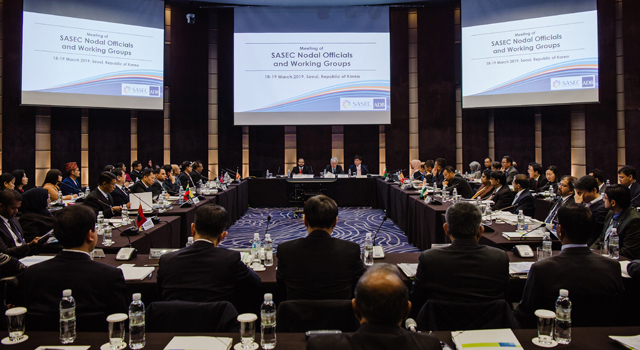 Discussions on AEO were led by Ms. Jamilah bt Hamid, Senior Assistant Director of Customs I, Royal Malaysian Customs, and Mr. Noboru Kurita, Policy Adviser on the AEO Programme in Malaysia, Japan International Cooperation Agency. Site visits to AEO-certified companies in Johor were held on the second day, which included a security compliance audit by officials of the Royal Malaysian Customs joined by Bangladesh customs officials. The visit was supported by the Asian Development Bank through technical assistance funds.